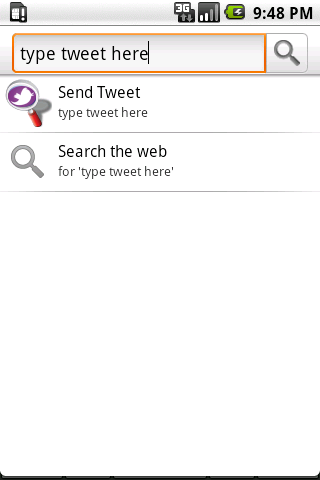 Use the Quick Search Box (QSB) to send a twitter message. Select the Send Tweet option from the suggestions list below the searchbox. Opening the twitter app is not required.